I had a lovely bridal shower in November, filled with lots of hot tea, cookies and mini sandwiches. It was an amazing tea party and I felt more than blessed at everything I was given for our home. One of my most prized gifts was a cookbook from my mother, where she hand wrote all our family recipes. I will cherish it forever. 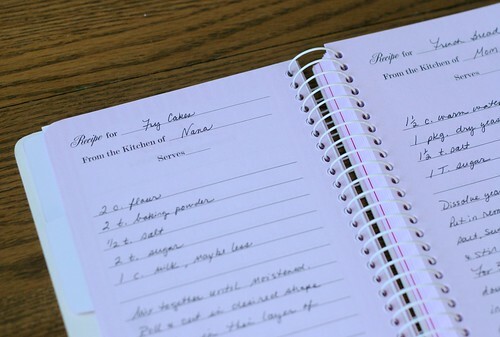 I love looking through it and it always brings back memories of watching her in the kitchen. This one in particular is a family favorite, probably most loved by my sister Ashley. 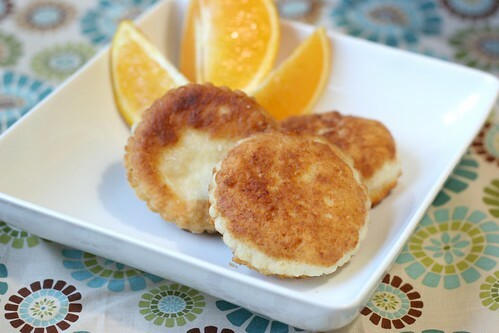 I remember many Saturday mornings when we both still lived at home and she would whip up these fry cakes for her and I to enjoy. The entire time I was rolling out the dough and dropping the cakes in the hot oil, I was thinking of her. My whole kitchen smelled like my Mom's kitchen and it was bringing back a ton of memories when I was a little girl. It's so amazing how recipes can do that. 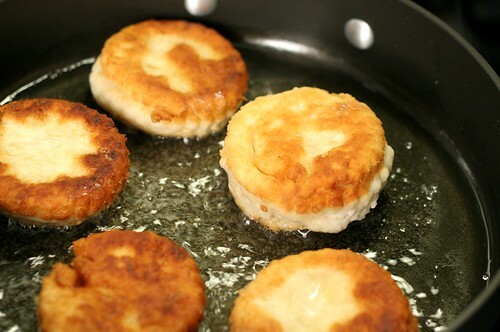 Have you ever had Fry Cakes? They are so easy. It's just a few basic ingredients kneaded together, then rolled out. They fry up like doughnuts but are not very sweet. SO delicious. 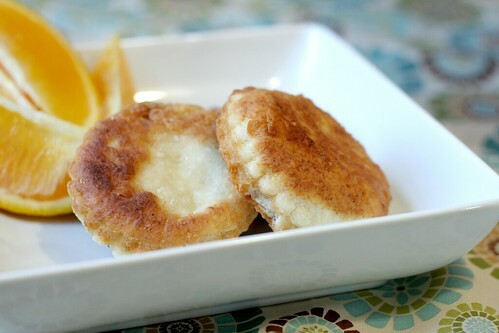 They kind of taste like fried biscuits. Are you okay with that? I am more than okay with that. They are best topped with butter and syrup, like pancakes or waffles. But you probably didn't really need me to make that comparison. I love how simple this recipe is. Basically... "Mix together, roll and cut, fry and eat." Stir all the ingredients together until moistened. Meanwhile, heat a large skillet over medium heat. Pour in about 1/4 inch layer of oil and let it heat up. You can test the heat of your oil by dropping in a small scrap piece of dough. If it drops in to the bottom without bubbling at all, its not hot enough. If it bubbles and rises to the top immediately, its too hot. 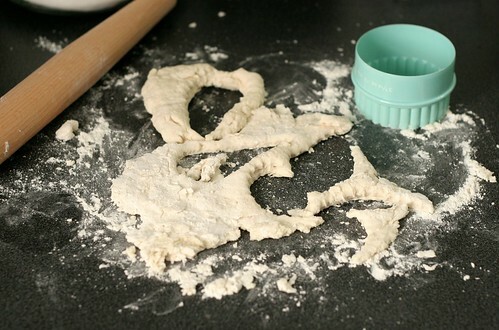 Flour your surface and roll the dough out until about 1/4-1/2 inch thick. Cut the cakes into desired shapes (I used a biscuit cutter, but you could use the open end of a drinking glass or whatever you have) and place into the hot oil. 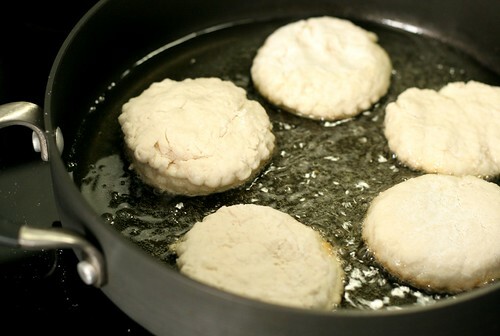 They should cook for 2-3 minutes on each side, until golden brown and puffy. 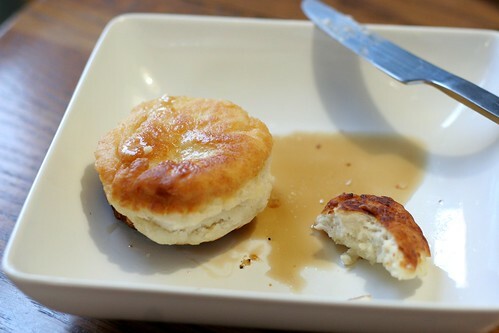 Serve immediately with butter and syrup, if desired. 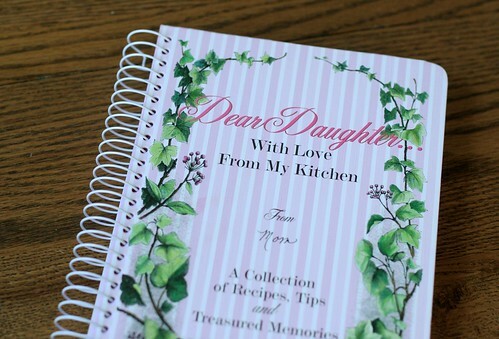 Jenna- I love, love, love this gift from your Mother- how special to have all the recipes in her handwriting. One of my most prized possessions is my grandparents' old cookbook that has torn out newspaper recipes and note cards with both of their handwriting- it's a keepsake that you will have forever.